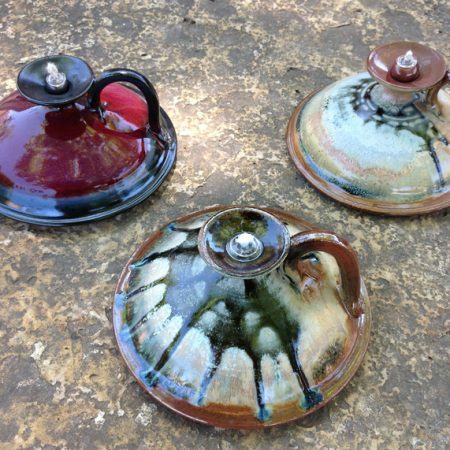 The late Jim Jones is one of the most renowned painters of the Southern Utah region, and is well-known for his paintings of Zion Canyon, the Grand Canyon and the Colorado Plateau. 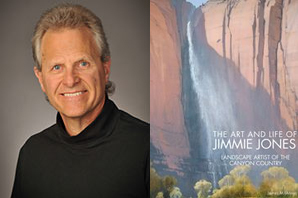 Jim Jones is known as one of the most remarkable painters of Zion Canyon, the Grand Canyon and the Colorado Plateau. Jim enjoyed a lifetime of intimate exploration of his favorite subjects: the landscapes and dramatic canyons of this desert country. Jim’s art studies began at the Art Center Los Angeles (now the Art Center College of Design). 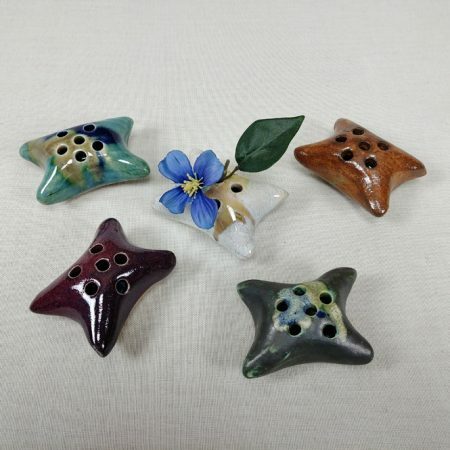 He also studied at UCLA, and earned a degree in fine art from the University of Utah in 1961. For the next 15 years, Jim was a painter of figures and portraits and spent his winters in Mexico creating images that celebrated the local people. 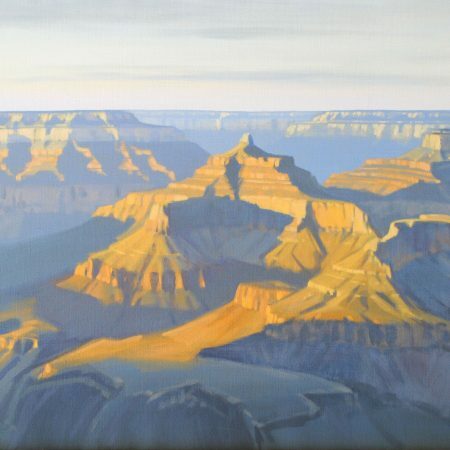 In 1975, Jim turned to painting landscapes of the area he has explored since his childhood, the Colorado Plateau. He spent the winter of 1976-1977 working as a caretaker at the Grand Canyon Lodge on the North Rim, which provided the opportunity for solitude and an intense focus on painting. 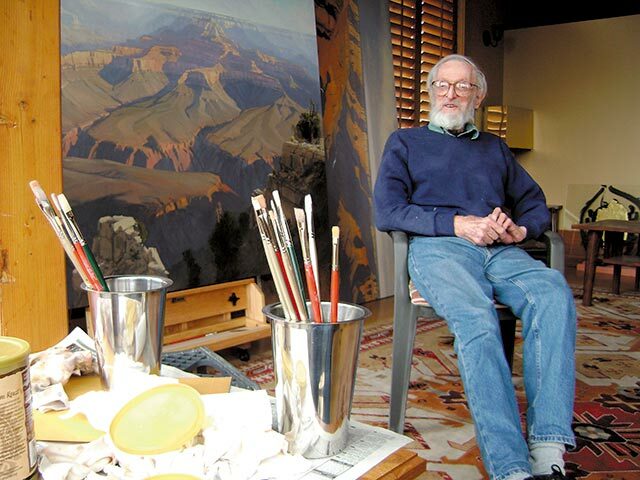 Jim was an especially prolific painter of Zion (over 400 paintings) and the Grand Canyon (over 100 paintings), a body of work that has earned him the reputation as one of the premier painters of Zion. A Utah native from Cedar City, Jim returned to this area in 1980 and moved to Rockville. His house was on the edge of a cliff, providing him with an expansive views of Zion Canyon. The stunning view from his porch is the subject of many of his paintings. His home was truly where he loved to be, and it is where he stayed until his passing in 2009. Many devoted individuals in America, and around the world, are collectors of Jim Jones paintings. 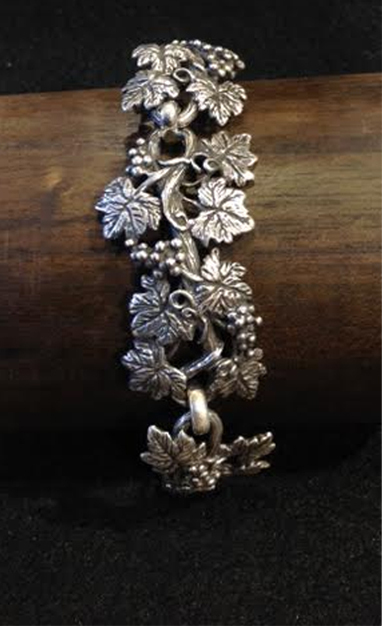 His work also graces the collections of many banks, hospitals, churches and corporations around the country. During his lifetime, Jim had numerous one-man shows and exhibited in many group shows throughout the American Southwest. His final body of work, 14 large and truly breathtaking paintings, were donated by Jim to Southern Utah University in Cedar City. Some of the giclee prints exclusively available a the Worthington Gallery are from this series of originals Jim painted in his final year.